“I am lighting this fire in the name of God the Father, God the Son, and God the Holy Spirit on behalf of the Board here in Cameroon, the Board in the USA, and in the name of all our contributors. 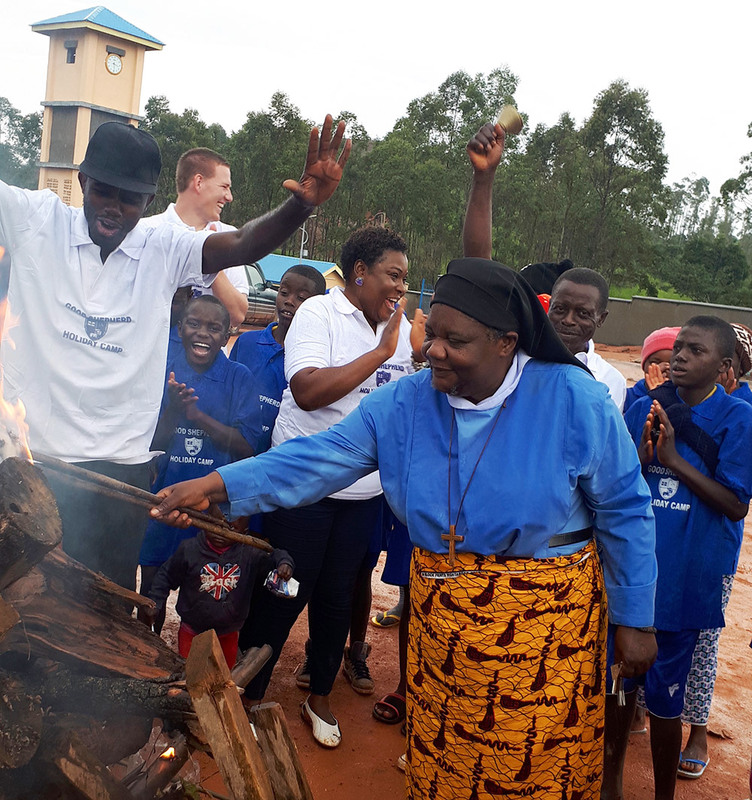 I officially welcome the teachers and campers, wishing each and every one a wonderful month in this place on this holy ground,” exclaimed Sister Jane Mankaa with jubilation and gratitude, as she officially opened Good Shepherd Holiday Camp on July 2, 2018. 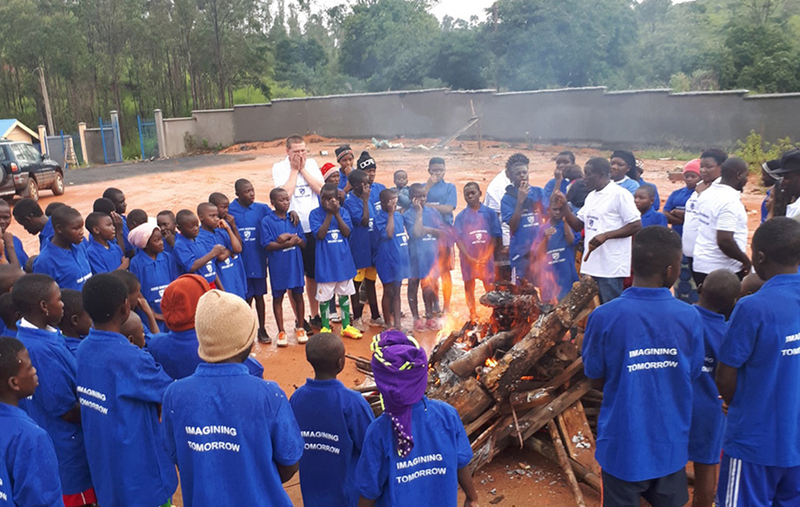 Following the official lighting ceremony complete with clapping, dancing, and bells ringing, an African storyteller shared folktales of why campfires are an African tradition. O how I would wish I had been sitting around that campfire! With 71 overnight campers, camp is in full swing with a robust daily schedule beginning at 5 am weekdays and 6 am on weekends. 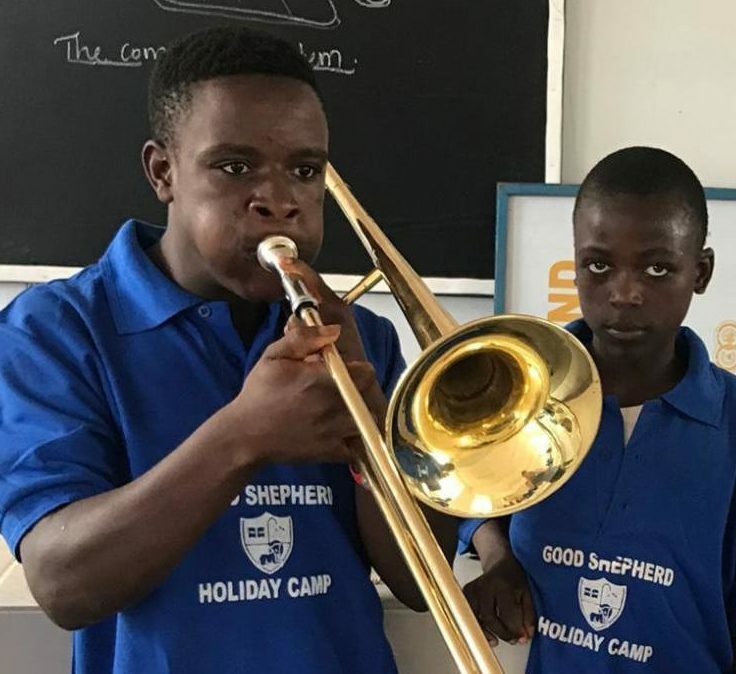 Sr. Alicia from the Community of Jesus in Rock Harbor, Massachusetts began music instruction by teaching campers to read music, followed by lessons on the trumpet, trombone, and flute. Thank you to Eagle Scout Jonathan Langberg for collecting and shipping our 33 band instruments! “We are loving one another, working together, building together, and imagining tomorrow,” stated Churchill Che, Camp Director. With experience running a camp in Italy and as Discipline Master of Good Shepherd Academy, Churchill is up to the task. He is joined by Conrad Heath, an experienced camp counselor from Canada, who is volunteering for 6 months in Cameroon between semesters. How blessed we are to have such strong leadership! 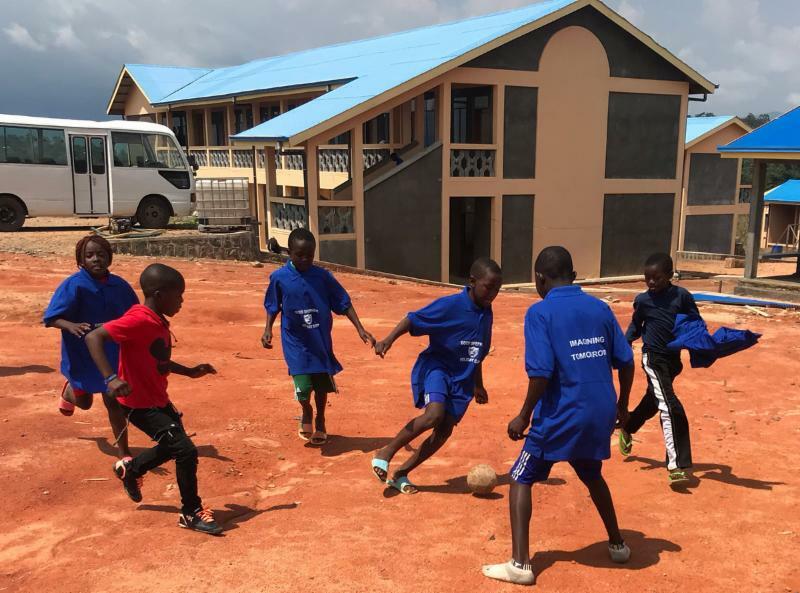 As our campus is abuzz with the sounds of laughter and children enjoying activities, we are very aware of the serious ongoing political conflict in other areas of Cameroon. Please know that Dr. Nche Zama, Board Vice-Chair, and I have been in communication with the US Ambassador to Cameroon, Ambassador Peter Henry Barlerin. He knows of our mission, the strength and concern of our American donors, and our state-of-the-art campus. His never-failing immediate response to us is encouraging, as we seek to fulfill not only our educational mission but our humanitarian one as well. You’ll want to pass it on. Thank you for being that spark for Good Shepherd Academy and our Holiday Camp, needed now more than ever. Pass it on!